We are always trying to keep a close eye on the ever growing and evolving UCaaS market. It’s important for us to keep tabs on what each provider is up to, so that we can make the strongest recommendations. RingCentral in particular has been on our radar for quite some time, especially following our close look at Gartner’s 2017 UCaaS Magic Quadrant. More recently, the vendor has announced some pretty impressive results at their 2018 Q2 earnings call, and has been selected for a few prominent industry awards. With so many strong options available, it can be difficult to make sense of what sets one vendor apart from the rest. We were always impressed with RingCentral’s offering, especially their inclusion of Glip for team collaboration — but we were really curious to dive a bit deeper and take a look at what exactly makes RingCentral such a strong choice in the Unified Communications market. 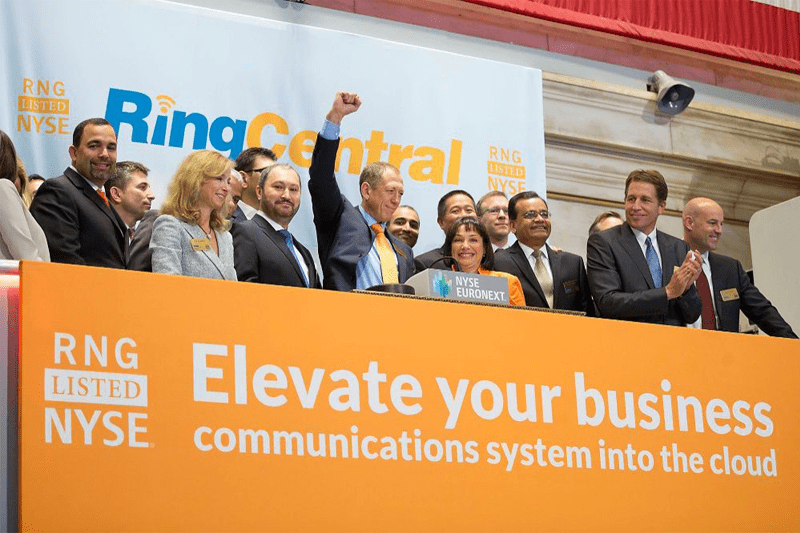 Founded way back in 1999, and officially launched in 2003, RingCentral was one of the early veterans on the Business VoIP scene with their original cloud-based IP PBX phone system. 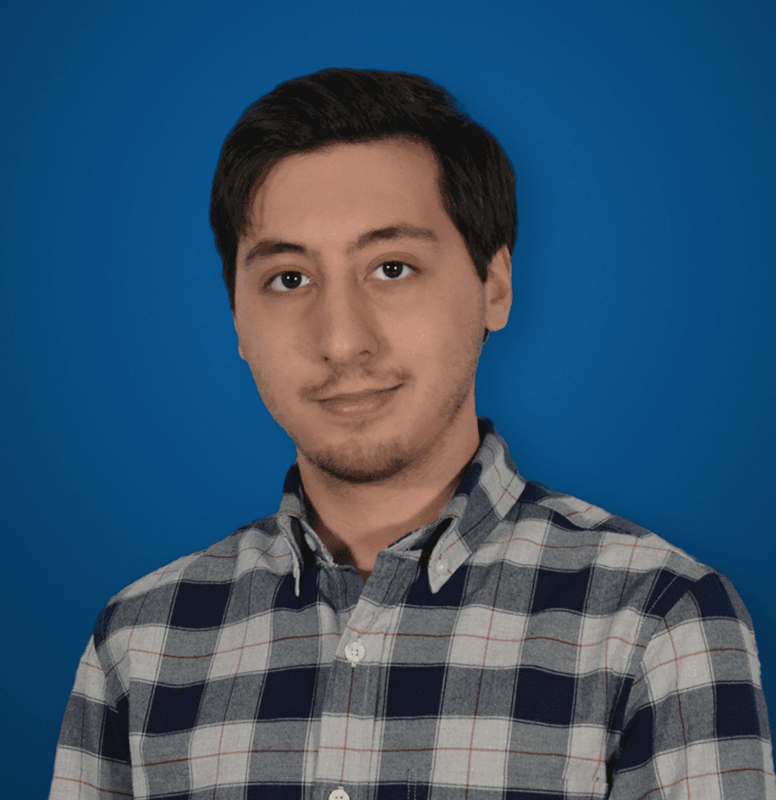 Of course, the provider has since evolved into something much larger, with a complete UCaaS platform that rivals some of the strongest SMB and even Enterprise offerings. With a number of different products and services to choose from, RingCentral manages to branch into just about every aspect of business communication. In our past head-to-head reviews, in which we stack RingCentral against a common competitor, we were always specifically impressed with the inclusion of Glip, a complete team messaging and collaboration solution. In fact, I’m a big fan of Glip even over something like Slack. Of course, one could simply describe RingCentral’s offerings as a truly unified communication and collaboration solution, but that doesn’t really tell the full story. Beyond basic, and even more advanced, calling capabilities, RingCentral’s platform includes a fairly impressive feature set, with the previously mentioned Glip team collaboration functionality. RingCentral Office – Pretty much RingCentral’s all-in-one offering. This unlimited calling Business VoIP solution includes meetings, team collaboration, conferencing and more. Plans are structured based on user limits for video and audio meetings with screen sharing, as well as toll-free minutes for phone calls. All plans include team collaboration, unlimited SMS and unlimited conferences. RingCentral Meetings – A dedicated online meetings platform that powers the video and audio conferencing for the rest of RingCentral’s solutions. Available for free with meetings up to 100 participants, screen sharing, whiteboarding, and annotation — but only 40 minutes long. 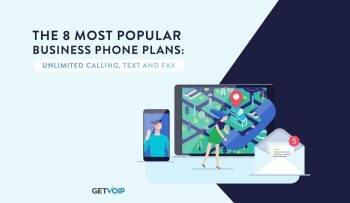 Upgrade to just the essential plan and jump up to unlimited meeting duration, and even phone support. All plans receive team collaboration and messaging functionalities, as well. RingCentral Glip – The holy grail I keep referencing, Glip, is RingCentral’s complete team collaboration solution. Users can simply message, video conference, share files, collaborate and edit on the same document right in Glip, and of course integrate with other business apps. While RingCentral offers a complete UC solution, with robust calling capabilities, Glip stands out as one of the strongest collaboration choices in our eyes. RingCentral Fax – Possibly the simplest offering from RingCentral is their online faxing, enabling users to send and receive faxes from any device. But even so, RingCentral still manages to include web support, phone support, user settings access, and cloud integration. As you might have noticed, a common theme throughout RingCentral’s offerings is an impressive feature set, along with the inclusion of team collaboration functionality — even within their Meetings solution. In fact, Meetings even includes screen sharing, one of our favorite collaboration functions that we feel is commonly overlooked. What Else Makes RingCentral Unique? There is a lot that goes into any business solution, let alone UCaaS platforms. Not only is a provider expected to offer a complete package with the necessary functionality, but they have to do it at a competitive price point while offering best-in-class support at the same time. Of course, a very strong piece of the RingCentral puzzle is their product offering, without a comprehensive solution they wouldn’t have as many users as they do. So, looking beyond just how much you pay and what you get, there are a number of factors that add up into the complete platform that is RingCentral’s solution. 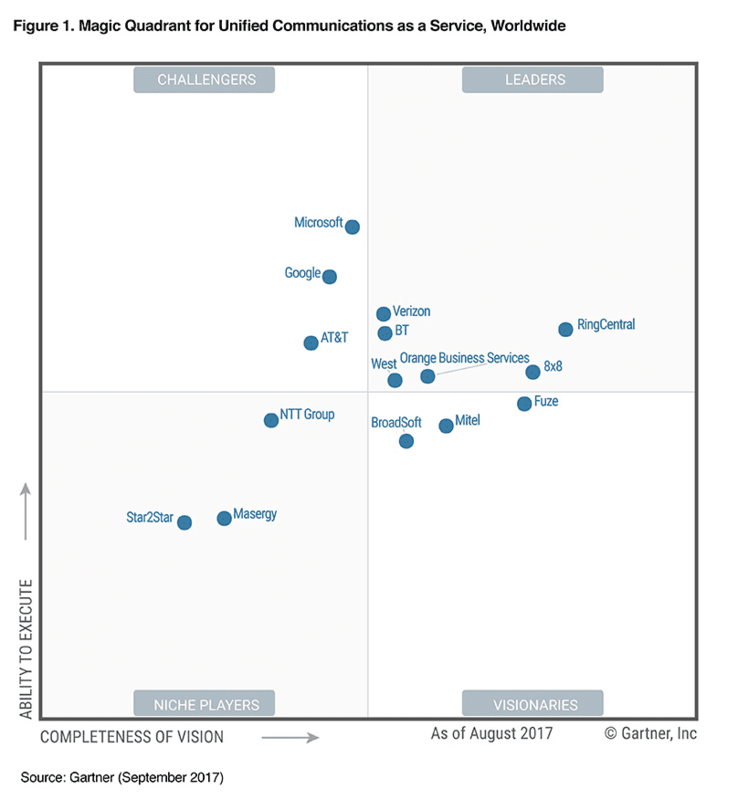 Now I want to circle back a little bit, and take a look at our coverage last year of Gartner’s UCaaS Magic Quadrant. Being the respected source, they are, Gartner can offer us a strong view on what makes RingCentral such a compelling option — at least one strong enough to earn the Leadership category. At the time I noted that RingCentral not only managed to make it into the Leader’s quadrant, but they even held their position from the previous year. This was mainly due to the fact that RingCentral was able to expand their coverage into Europe, serving 14 different markets with language support. In just 2018 alone, RingCentral has continued to grow their platform and solutions with new additions, including increased language support for Japanese and Brazilian Portuguese, expanding their already impressive international footprint into two more international markets — a strong correlation with Gartner’s observations. RingCentral also opened a new office located in Australia to better serve the Asia-Pacific region. 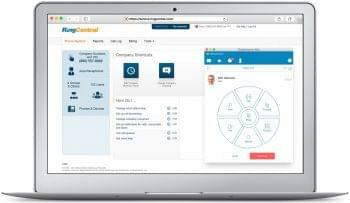 Back in March, RingCentral launched their integrated Meetings Solution, mentioned above, delivering an integrated team messaging, online meetings, video conferencing, screen-sharing and task management solution to existing and new users. Moving up to something a bit more recent, just in July, RingCentral had also announced new integration plans with the Google Cloud Contact Center AI, a fairly substantial move. Just recently announced by Google, this new Cloud Contact Center AI enables teams to resolve calls through the use of AI prior to routing to a human agent. RingCentral’s inclusion of this latest tech illustrates their constant evolution and innovation. This I’ve touched on a little bit already when breaking down the solutions RingCentral offers, but it’s absolutely worth mentioning in detail. During our head-to-head reviews, I always noted that RingCentral’s inclusion of Glip is an incredibly compelling aspect to the platform. Overall, a major element of UCaaS is the ability to collaborate with your team instantly, with as little friction as possible. 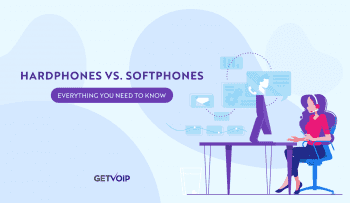 A complete phone solution is of course necessary at the most basic level of business operation, but expanding into modern solutions will generally include conferencing and collaboration. RingCentral manages to not only hit those two points, but hit them very well — conferencing is handled through the Meetings solutions with some impressive features like screen sharing and mobile support, while collaboration is handled by Glip. More recently, RingCentral has seemed to directly integrate Glip into their Office platform, streamlining the experience even further. In fact, Glip was even recently awarded the industry leader in the 2018 Aragon Research Globe for Mobile Collaboration. I already mentioned this briefly, but during their latest earnings report for Quarter 2 of 2018, RingCentral reported some impressive results. Right off the bat, RingCentral’s total revenue increase 34% year over year, up to $161 million. Software subscriptions revenue specifically increased 32% year over year, to $146 million — a clear indicator that the provider’s user base has not stagnated, and continues to grow over time, and even within just a short period. Moving forward, RingCentral is looking to raise software subscriptions revenue range to $595 to $600 million (up from the prior range of $588 to $594 million), as well as raising total revenue range to $640 to $656 million, representing annual growth of 29% to 30%. Clearly the provider has no signs of slowing down. Now, it is difficult to make a generalized, blanket recommendation of a provider. What works for one organization will not necessarily fit into the specific requirements of another. This is especially true for organizations of different sizes. Now one of RingCentral’s strengths is that they play to almost every market, with a basic mobile-phone based solution all the way up to a complete Enterprise version of RingCentral Office. However, when compared to other options available, RingCentral makes a very strong case. The provider continues to expand and evolve their solution with the latest technologies, integrations and features. Glip specifically continues to become more and more integrated with the platform, strengthening the core offering from RingCentral. Overall, RingCentral offers a very compelling package and is worth considering if your team is looking to place a high emphasis on collaboration — which all teams should consider.